Tile and stone are an ideal option for Bermuda’s climate and today’s lifestyles, and with new technologies these materials can go just about anywhere. Natural products require a bit of care and some types of tile and stone are better suited for some areas in the house than others, but with the right installation and maintenance, tile can stay fresh and current for years. 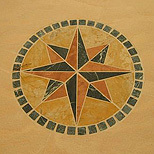 In this section we outline which types of tile are ideal for typical uses throughout the home. When visiting our showroom, our client representatives are also able to advise which tiles are best for your specific tiling projects.